A troubadour was a composer and performer of Old Occitan lyric poetry during the High Middle Ages (1100–1350). Since the word troubadour is etymologically masculine, a female troubadour is usually called a trobairitz. The premiere took place at the Teatro Apollo in Rome on 19 January 1853, where it "began a victorious march throughout the operatic world,"  a success due to Verdi's work over the previous three years. It began with his January 1850 approach to Cammarano with the idea of Il trovatore. There followed, slowly and with interruptions, the preparation of the libretto, first by Cammarano until his death in mid-1852 and then with the young librettist Leone Emanuele Bardare, which gave the composer the opportunity to propose significant revisions, which were accomplished under his direction. These revisions are seen largely in the expansion of the role of Leonora. For Verdi, the three years were filled with operatic activity because work on this opera did not proceed while the composer wrote and premiered Rigoletto in Venice in March 1851 and also while his personal affairs limited his activities. Then, in May 1851, an additional commission was offered by the Venice company after Rigoletto's success there. Another commission came from Paris while he was visiting that city from late 1851 and into March 1852. Therefore, even before the libretto for Il trovatore was ever completed, before the music was written, and before the opera premiered, Verdi had a total of four different operatic projects underway and in various stages of development. Today, Il Trovatore is performed frequently and is a staple of the standard operatic repertoire. Busseto is a comune in the province of Parma, in Emilia-Romagna in Northern Italy with a population of about 7,100. Its history has very ancient roots which date back to the 10th century, and for almost five hundred years it was the capital of Stato Pallavicino. With regard to the chosen librettist's strength as a poet in preparing verse for opera, Budden also comments that his approach was very traditional,  something which began to become clear during the preparation of the libretto and which appears in the correspondence between the two men. Verdi's time and energy were spent mostly on finishing Rigoletto, which premiered at La Fenice in Venice in March 1851. Within a matter of weeks, Verdi was expressing his frustration to a mutual friend, de Sanctis, at having no communication from Cammarano. 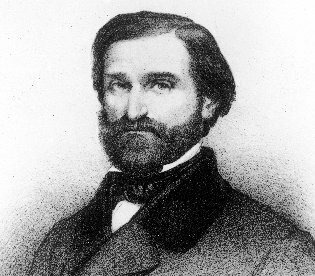 His letter emphasized that "the bolder he is, the happier it will make me,"  although it appears that Cammarano's reply contained several objections, which Verdi answered on 4 April and, in his response, he emphasized certain aspects of the plot which were important to him. These included Leonora taking the veil and also the importance of the Azucena/Manrico relationship. He continued by asking whether the librettist liked the drama and emphasized that "the more unusual and bizarre the better". There then arose the question of where the opera would eventually be presented. Verdi had turned down an offer from Naples, but became concerned about the availability of his preferred Azucena, Rita Gabussi-De Bassini. She turned out not to be on the Naples roster, but expressed an interest in the possibility of Rome. Things were put on hold for several months as Verdi became preoccupied with family matters, which included the illnesses of both his mother (who died in July) and father, the estrangement from his parents with communications conducted only between lawyers, and the administration of his newly acquired property at Sant'Agata (now the Villa Verdi near his hometown of Busseto), where he had established his parents. But his relationship with his parents, albeit legally severed, as well as Strepponi's situation living with the composer in an unmarried state, continued to preoccupy him, as did the deterioration of his relationship with his father-in-law, Antonio Barezzi. Finally, in April 1851, agreement was reached with the elder Verdis on the payment of debts mutually owed and the couple were given time to resettle, leaving Sant'Agata for Verdi and Strepponi to occupy for the next fifty years. The couple returned to Sant'Agata by mid-March 1852 and Verdi immediately began work on Trovatore after a year's delay. Then, in July 1852, by way of an announcement in a theatrical journal, Verdi received news of Cammarano's death earlier that month. This was both a professional and a personal blow. The composer learned that Cammarano had completed Manrico's third-act aria, "Di quella pira" just eight days before his death, but now he turned to De Sanctis to find him another librettist. Leone Emanuele Bardare was a young poet from Naples who was beginning his career; eventually he wrote more than 15 librettos before 1880. Composer and librettist met in Rome around 20 December 1852 and Verdi began work on both Trovatore and La traviata. His main aim, having changed his mind about the distribution of characters in the opera, was to enhance the role of Leonora, thus making it "a two-women opera"  and he communicated many of these ideas ahead of time via letters to De Sanctis over several months. Leonora now was to have a cantabile for the Miserere as well as retaining "Tacea la Notte" in act 1 with its cabaletta. Changes were also made to Azucena's "Stride la vampa" and to the Count's lines. Taking into account the last-minute requirements of the censor and the consequent changes, overall, the revisions and changes enhanced the opera, and the result was that it was a critical and a popular success. After the successful presentation of the opera in Italian in Paris, François-Louis Crosnier, director of l'Opéra de Paris, proposed that Verdi revise his opera for the Paris audience as a grand opera, which would include a ballet, to be presented on the stage of the major Paris house. 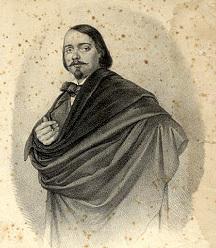 While Verdi was in Paris with Giuseppina Strepponi from late July 1855, working on the completion of Aroldo and beginning to prepare a libretto with Piave for what would become Simon Boccanegra , he encountered some legal difficulties in dealing with Toribio Calzado, the impresario of the Théâtre des Italiens, and, with his contacts with the Opėra, agreed to prepare a French version of Trovatore on 22 September 1855. Ferrando, the captain of the guards, orders his men to keep watch while Count di Luna wanders restlessly beneath the windows of Leonora, lady-in-waiting to the Princess. Di Luna loves Leonora and is jealous of his successful rival, a troubadour whose identity he does not know. In order to keep the guards awake, Ferrando narrates the history of the count (Racconto: Di due figli vivea padre beato / "The good Count di Luna lived happily, the father of two sons"): many years ago, a gypsy was wrongfully accused of having bewitched the youngest of the di Luna children; the child had fallen sick, and for this the gypsy had been burnt alive as a witch, her protests of innocence ignored. Dying, she had commanded her daughter Azucena to avenge her, which she did by abducting the baby. Although the burnt bones of a child were found in the ashes of the pyre, the father refused to believe his son's death. Dying, the father commanded his firstborn, the new Count di Luna, to seek Azucena. Leonora confesses her love for the Troubadour to her confidante, Ines (Cavatina:Tacea la notte placida / "The peaceful night lay silent"... Di tale amor / "A love that words can scarcely describe"), in which she tells how she fell in love with a mystery knight, victor at a tournament: lost track of him when a civil war broke out: then encountered him again, in disguise as a wandering troubadour who sang beneath her window. When they have gone, Count di Luna enters, intending to pay court to Leonora himself, but hears the voice of his rival, in the distance: (Deserto sulla terra / "Alone upon this earth"). Leonora in the darkness briefly mistakes the count for her lover, until the Troubadour himself enters the garden, and she rushes to his arms. The Count challenges his rival to reveal his true identity, which he does: Manrico, a knight now outlawed and under death sentence for his allegiance to a rival prince. Manrico in turn challenges him to call the guards, but the Count regards this encounter as a personal rather than political matter, and challenges Manrico instead to a duel over their common love. Leonora tries to intervene, but cannot stop them from fighting (Trio: Di geloso amor sprezzato / "The fire of jealous love" ). From act 2. Sung by Gabriella Besanzoni in 1920. The gypsies sing the Anvil Chorus : Vedi le fosche notturne / "See! The endless sky casts off her sombre nightly garb...". Azucena, the daughter of the Gypsy burnt by the count, is still haunted by her duty to avenge her mother (Canzone: Stride la vampa / "The flames are roaring!"). The Gypsies break camp while Azucena confesses to Manrico that after stealing the di Luna baby she had intended to burn the count's little son along with her mother, but overwhelmed by the screams and the gruesome scene of her mother's execution, she became confused and threw her own child into the flames instead (Racconto: Condotta ell'era in ceppi / "They dragged her in bonds"). Manrico realises that he is not the son of Azucena, but loves her as if she were indeed his mother, as she has always been faithful and loving to him - and, indeed, saved his life only recently, discovering him left for dead on a battlefield after being caught in ambush. Manrico tells Azucena that he defeated di Luna in their earlier duel, but was held back from killing him by a mysterious power (Duet: Mal reggendo / "He was helpless under my savage attack"): and Azucena reproaches him for having stayed his hand then, especially since it was the Count's forces that defeated him in the subsequent battle of Pelilla. A messenger arrives and reports that Manrico's allies have taken Castle Castellor, which Manrico is ordered to hold in the name of his prince: and also that Leonora, who believes Manrico dead, is about to enter a convent and take the veil that night. Although Azucena tries to prevent him from leaving in his weak state (Ferma! Son io che parlo a te! / "I must talk to you"), Manrico rushes away to prevent her from carrying out this intent. Di Luna and his attendants intend to abduct Leonora and the Count sings of his love for her (Aria: Il balen del suo sorriso / "The light of her smile" ... Per me ora fatale / "Fatal hour of my life"). Leonora and the nuns appear in procession, but Manrico prevents di Luna from carrying out his plans and takes Leonora away with him, although once again leaving the Count behind unharmed, as the soldiers on both sides back down from bloodshed, the Count being held back by his own men. Di Luna and his army are attacking the fortress Castellor where Manrico has taken refuge with Leonora (Chorus: Or co' dadi ma fra poco / "Now we play at dice"). Ferrando drags in Azucena, who has been captured wandering near the camp. When she hears di Luna’s name, Azucena’s reactions arouse suspicion and Ferrando recognizes her as the supposed murderer of the count’s brother. Azucena cries out to her son Manrico to rescue her and the count realizes that he has the means to flush his enemy out of the fortress. He orders his men to build a pyre and burn Azucena before the walls. Inside the castle, Manrico and Leonora are preparing to be married. She is frightened; the battle with di Luna is imminent and Manrico’s forces are outnumbered. He assures her of his love (Aria: Ah sì, ben mio, coll'essere / "Ah, yes, my love, in being yours"), even in the face of death. When news of Azucena’s capture reaches him, he summons his men and desperately prepares to attack (Cabaletta: Di quella pira l'orrendo foco / "The horrid flames of that pyre"). Leonora faints. Manrico has failed to free Azucena and has been imprisoned himself. Leonora attempts to free him (Aria: D'amor sull'ali rosee / "On the rosy wings of love"; Chorus & Duet: Miserere / "Lord, thy mercy on this soul") by begging di Luna for mercy and offers herself in place of her lover. She promises to give herself to the count, but secretly swallows poison from her ring in order to die before di Luna can possess her (Duet: Mira, d'acerbe lagrime / "See the bitter tears I shed"). "Se m'ami ancor ... Ai nostri monti ritorneremo"
Manrico and Azucena are awaiting their execution. Manrico attempts to soothe Azucena, whose mind wanders to happier days in the mountains (Duet: Ai nostri monti ritorneremo / "Again to our mountains we shall return"). At last the gypsy slumbers. Leonora comes to Manrico and tells him that he is saved, begging him to escape. When he discovers she cannot accompany him, he refuses to leave his prison. He believes Leonora has betrayed him until he realizes that she has taken poison to remain true to him. As she dies in agony in Manrico's arms she confesses that she prefers to die with him than to marry another (Trio: Prima che d'altri vivere / "Rather than live as another's"). The count has heard Leonora's last words and orders Manrico's execution. Azucena awakes and tries to stop di Luna. Once Manrico is dead, she cries: Egli era tuo fratello! Sei vendicata, o madre. / "He was your brother ... You are avenged, oh mother!" While neither of the two princes who actually took part in the war actually appears in the opera –neither is even referred to by name, and only Urgell is referred to by his title –the fortunes of their followers mirror those of their princes. Thus, with his military success, Ferdinand's side has the upper hand in the war and is effectively the Royalist party, with the backing of much of the nobility and the Dowager Queen, and he also has Di Luna as his chief henchman (Luna's own connection to the royal family is not mentioned, being not necessary to the drama): while Urgel, losing the war and on the back foot, is forced to recruit among outlaws and the dispossessed, effectively taking the part of a rebel despite having some legal right to his case. Thus the fact that the forces of Urgel, in the opera as in real life, lose every pitched battle: and on the single occasion that they capture a castle (named in the opera as "Castellor", a fairly generic name for a castle, there being many Castellars in the region), it proves a handicap to them because their only hope in battle lies in speed, mobility, surprise and ambush, all of which are lost when defending a fortress. And also, thus it is that the fictitious troubadour Manrico can gain his rags-to-riches background, having risen from the obscurity of a Biscayan gypsy camp to become Urgel's chief general, a knight and a master swordsman in his own right, good enough to defeat Di Luna himself in a personal duel, or win a knightly tournament: only to lose it again on the military battlefield, where the odds are perpetually against him, and he is damned as an outlaw even before the opera begins, for no deed of his own but because his master is the rebel. And yet he gets to be a heroic, popular outlaw, who might just escape with his life in return for a vow of future loyalty, if put on trial in front of the Prince himself: a chance that Luna does not want to risk, given that his rivalry with Manrico is personal as well as political. Hence the challenge to the duel over the personal rivalry, instead of calling the guards and making the arrest political, in Act 1: and hence also the decision to execute without trial in Act 4 even though Luna knows he is abusing his position. Leonora and Azucena are, of course, as fictitious as Manrico, as is the story's conceit that the former Count of Luna had not one but two sons. 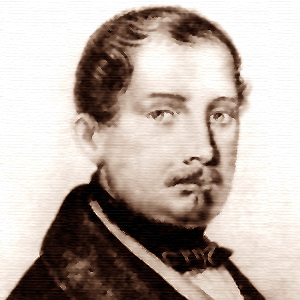 Salvadore Cammarano was a prolific Italian librettist and playwright perhaps best known for writing the text of Lucia di Lammermoor (1835) for Gaetano Donizetti. "Di quella pira" is a short tenor aria sung by Manrico in act 3, scene 2, of Giuseppe Verdi's opera Il trovatore. It is the last number of the act. Leone Emanuele Bardare was an Italian poet. He is remembered for completing the libretto to Giuseppe Verdi's Il trovatore after the death, in 1852, of original librettist Salvadore Cammarano. Bardare also crafted a new libretto, titled Clara di Perth, for Rigoletto in an attempt to placate the Neapolitan censors. Gustavo III is an opera by Giuseppe Verdi to a libretto begun in early 1857 by the Italian playwright Antonio Somma. 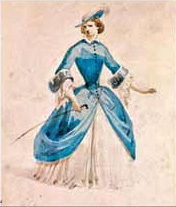 Never performed as written, the libretto was later revised several times under two additional names – Una vendetta in domino and Adelia degli Adimari – during which the setting was changed to vastly different locations. 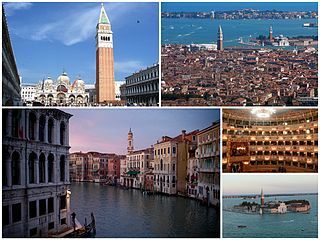 Eventually, it was agreed that it could be called Un ballo in maschera, the one by which it is known today, but Verdi was forced to accept that the location of the story would have to be Colonial Boston. This setting became the "standard" one until the mid-20th Century. Most productions today locate the action in Sweden. ↑ Strepponi to Verdi, 3 January 1853, in Budden, p. 59. Her emphasis on the "OUR". 1 2 3 Verdi to de Sanctis (their mutual friend), 29 March 1851, in Budden, p. 61. 1 2 Martin, George Whitney (Spring 2005). "Verdi Onstage in the United States: Le trouvère". The Opera Quarterly. 21 (2): 282–302. doi:10.1093/oq/kbi018. 1 2 Pitou, p. 1333. ↑ Forbes, Elizabeth, "Borghi-Mamo [née Borghi], Adelaide" in Sadie, Vol. One, p. 549. ↑ Kimbell (2001), p. 993. ↑ George Whitney Martin (2011). Verdi in America: Oberto Through Rigoletto. University Rochester Press. p. 81. ↑ "Il Trovatore". Met Opera Archives. Retrieved 26 March 2018. ↑ "Opera Statistics". Operabase. Retrieved 30 July 2013. ↑ List of singers taken from Budden, p. 58. ↑ List of singers taken from Pitou, p. 1335. ↑ The synopsis is adapted from Melitz (1921), pp. 363–363, and Osborne (1977), pp. 251–255. ↑ Osborne (2007) p. 502. ↑ Earenfight, Theresa (2005). Queenship And Political Power In Medieval And Early Modern Spain. Ashgate Publishing. ISBN 075465074X. Budden, Julian (1984). The Operas of Verdi: 2. From Il Trovatore to La Forza del destino. London: Cassell. ISBN 978-0-19-520068-3 (hardcover); ISBN 978-0-19-520450-6 (paperback). Grover-Friedlander, Michal (2005). Vocal Apparitions: The Attraction of Cinema to Opera. Princeton University Press. ISBN 978-0-691-12008-9. Preview at Google Books. Kimbell, David (2001), in Holden, Amanda, (Ed. ), 2001. The New Penguin Opera Guide, New York: Penguin Putnam. ISBN 978-0-14-029312-8. Marcus, Millicent Joy (1986). Italian Film in the Light of Neorealism. Princeton University Press. ISBN 978-0-691-10208-5. Preview at Google Books. Melitz, Leo (1921). The Opera Goer's Complete Guide. OCLC 5128391 , 1102264. View at Google Books. Osborne, Charles (1977). The Complete Operas of Verdi. New York: Da Capo Press. ISBN 978-0-306-80072-6. Osborne, Charles (2007). The Opera Lover's Companion. Yale University Press. ISBN 978-0-300-12373-9. Preview at Google Books. Pitou, Spire (1990). The Paris Opéra: An Encyclopedia of Operas, Ballets, Composers, and Performers. Growth and Grandeur, 1815–1914. New York: Greenwood Press. ISBN 978-0-313-26218-0. 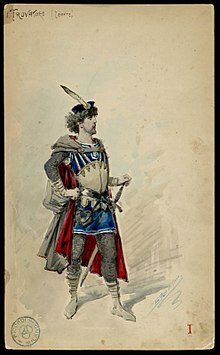 Wikimedia Commons has media related to Il trovatore .